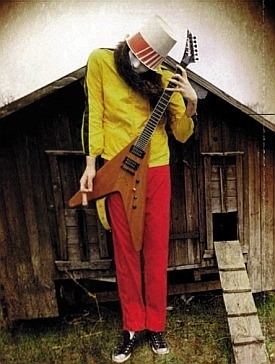 Brian Patrick Carroll (born May 13, 1969), better known by his stage name BUCKETHEAD, is a guitarist and multi-instrumentalist who has worked within several genres of music. He has released a large discography of studio albums, special releases and EPs. He has performed on over 50 more albums by other artists. His music spans such diverse areas as progressive metal, funk, blues, jazz, bluegrass, ambient, and avant-garde music. 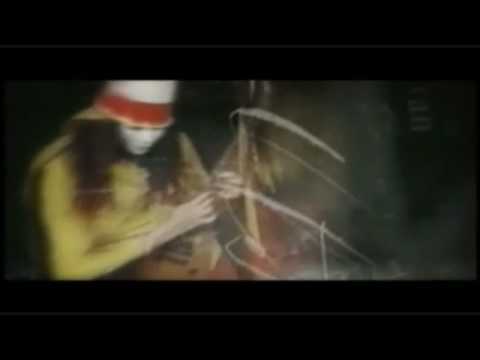 Buckethead is famous for wearing a KFC bucket on his head, emblazoned with an orange bumper sticker reading FUNERAL in capital black block letters, and an expressionless plain white mask which, according to Buckethead, was inspired by his seeing Halloween 4. At one point, he changed to a plain white bucket that no longer bore the KFC logo, but subsequently reverted to his trademark KFC bucket. He also incorporates nunchaku and robot dancing into his stage performances. BUCKETHEAD went from one of the most prolific artists in the music industry to relative scarcity in 2018. While three albums may sound like a lot for most artists, it pales compared to the dozens he released a few years back. The year 2018 has seen less studio time and a chance to hit the road and reconnect with the fans on a personal level. Something strange has happened in 2018 as well. 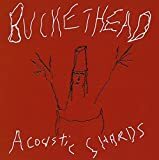 With the album “5-13 10-31,” BUCKETHEAD seems to have dropped the PIKE series, at least it’s not listed on the album. In BUCKETHEADLAND, anything is possible so never count your chickens until they hatch. The same goes for Christmas 2018. No full album, just this one track titled MISSING MY PARENTS. It seems BH lost his family a while back and is feeling a tad nostalgic this holiday season and although i still am lucky enough to enjoy my parents in the flesh, this track certainly makes me wonder how empty it will feel without them. As with the other tributes to his parents (“Pike 65 - Hold Me Forever (In Memory of My Mom Nancy York Carroll)” and “Pike 150 - Heaven Is Your Home (For My Father, Thomas Manley Carroll)”) this single is in the extremely mellow and contemplative mood with clean guitar sounds, ambient atmospheric gentle sweeps and overall sorrowful mood setting without any percussive instruments. 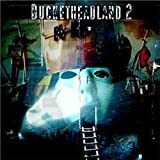 The second release of Halloween 2018 after 5-13 10-31 is this short and quirky single titled MIRROR IN THE CELLAR which finds BUCKETHEAD releasing a single instead of a second album. Where this comes from is unknown but perhaps it’s a leftover. In its 3:53 wake, this track takes starts off in dark ambient mode with echoey guitars jumping in before breaking into heavy alternative metal guitar riffs. It continues through a fairly by the books metal format. Riffs that alternate with virtuosic solos that drop out and focus on the echoey space guitar effects. The rhythm is rather funky and the track is quite pleasant but really nothing to get overly excited about especially when followed by the more spectacular Halloween video treat of Track 1 from 5-13 10-31. Oh yeah, The ghost says BOOOOO! 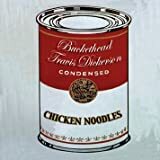 Only three years ago in 2015, BUCKETHEAD released a whopping 118 albums that year with another 60 coming out the year before but beginning in 2016, the chicken lover slowed way down having only released a mere 24 and 30 in 2017. The year 2018 has been the other extreme as BH spent most of the year touring and released only 2 albums as of September. However, if there’s one thing that can coax the eccentric one out of the coop, then that would be Halloween. While no countdown to Halloween has occurred since 2015, the holiday seems to be the season for the reason to do that BUCKETHEAD thang and lo and behold on Halloween 2018, BH released his third album of the year titled 5-13 10-31. What also caught me completely off guard is that this album does not have a Pike tag on it which i assume signifies that it is the first BUCKETHEAD album NOT released as part of the Pike series since 2012’s “Electric Sea.” Oh, that darn BUCKETHEAD is always throwing a monkey wrench into the dens of the database keepers! TRACK 1 (14:32) is best experienced as the first official video in a long time as the music fits perfectly with the visuals. 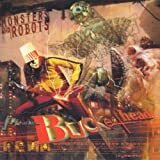 The video was created, animated and edited by Byan Theiss at Frankenseuss Laboratories with live action footage from tours and includes paintings from BUCKETHEAD incorporated into the journey. This track was produced by Don Monti and Albert and pretty much seems like a separate entity from Track 2 despite musical similarities. The music starts off a bit funky as three trick-or-treaters accidentally end up falling down a well into the underworld of BUCKETHEADLAND. The video and musical journey coincide in amusement park fashion with hairpin turns that hop, skip and jump all over the damn place. 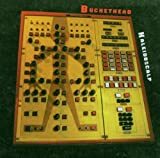 Musically BUCKETHEAD juggles his entire career on this one as it includes everything from funk, alternative metal riffing, virtuosic solos, dark ambient, avant-garde metal weirdness as well as other experimental elements that have dotted the massive canon of this freak of nature. The video is absolutely brilliant and one of the best music videos i’ve seen in a long time. 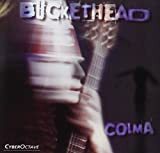 The music is perfectly paced to run the gauntlet of BUCKETHEAD-isms and eke out all the proper mood setting responses. The visuals through BUCKETHEADLAND convey the surreal fantastical world in dreamscape weirdness as if taking a cue from Roger Rabbit with animation and live footage coinciding side by side. While pulling out all the tricks and trinkets from the past, BH still manages to find new creepy and surreal ways to play his guitar as more familiar passages pause for a freakfest moment. I love this track! 5 stars. BUCKETHEAD at his absolute best! Track 2 (14:33) begins with a little funk, followed by some industrial grind and then back to funk and then a little metal guitar. Yep, it’s another shapeshifter as every few measures the mood, tones, timbres and tempos change it up as funk, metal, rock and the avant-garde dance together like ghouls in a graveyard. Add to that the same kind of dark ambient interludes with creepy church organ and freaky shred wankery and this is another guaranteed wild ride in BUCKETHEADLAND. This one pretty much copies the template of “Track 1” with all the bells and whistles displaying BH’s career in summary as he juxtaposes dark ambient creepiness next to sizzling hot face melting guitar solos. 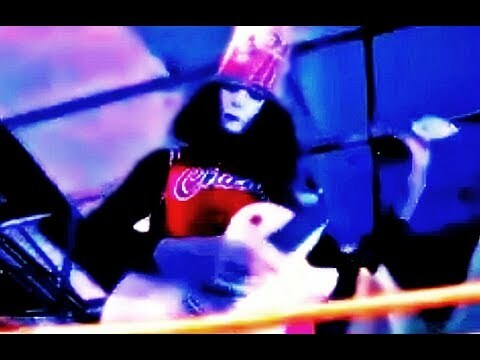 I guess i prefer the first track better since it has a video accompaniment that works oh so well in conjunct, however this experimental freakfest is my absolute favorite style of BUCKETHEAD madness, so it totally works for me! Yeah! It was worth the wait but this one is a winner. The video is the best Halloween present of all!!! The opener “Hypnagogia” by definition is the experience of the transitional state from wakefulness to sleep such as in the phrase “hypnagogic state of consciousness” and BH gently lulls out the perfect sleepytime nightie night night music. Much like the mellow PIKEs of the past, this one somnambulistically meanders on placidly with a gentle rhythm, background ambience and delicately strummed guitar strings. And then the true surprise! Just when i thought this was going to be one of those mellow only PIKEs, “Thread 1” becomes one of those shapeshifters starting out with a heavy metal thunder and then alternating between weird electronica and free form rock that mixes it up with energetic metal outbursts. Yeah, this is the BUCKETHEAD that i was waiting for! Nice Jedi mind trick with the opener! This track is pretty much all over the place and i love it! “Thread 2” changes the mood to a slower metal piece but then erupts into a guitar solo and electronica frenzy. Another shapeshifter as it ventures into funk and then thrash metal and there’s really no need to continue track by track since the “Thread” series jumps all over the place ranging from the hypnagogic dreaminess of the opener to funk metal to thrash metal to hyperactive jittery electronic freakiness. Guitar riffs are aplenty as are solos. Rhythms, timbres, dynamics and tempos shapeshift with no rhyme or reason. 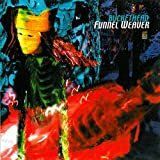 This is my favorite type of BUCKETHEAD album but i have to admit it’s not adding anything new to his overall collective of styles on his PIKE series. He’s simply recycling all his tricks and trinkets that he’s always relied on. The tracks are all performed brilliantly and the production is totally cool. I love listening to this even if it’s not breaking any new ground and great to finally see a second BH PIKE emerge from the egg factory. “Fourneau Cosmique” (11:49) begins with a familiar BH sound, that is a synthesized atmospheric backdrop with mellow echoey guitar parts, however it quickly bursts into a heavy alternative metal type of guitar riff with the bass and drums along for the ride. Not unexpectedly, guitar solos emerge here and there trading off with the riffs. Compositionally speaking, the main melody is one of those looped recurring series of chords that maintain a rhythm guitar, bass and drums as a lead guitar joins in to provide variety. Around the 3.5 minute mark, the heavy metal drops out and the echoey clean guitars steal the show with the same rhythm and melodic progression. When the distorted guitar joins back in its less frenetic as the a sizzling guitar solo extends for a lengthy period of time building up power and speed. As the track continues its long journey, it retains the basic melody but pumps out different variations but basically comes across as a tad uninspiring as we’ve heard this a million times before and this is really quite too tame despite some crunchy metal riffing that occurs. “Endless Experiments” (16:15) is an even crunchier metal monster with heavy guitar riffs hitting the ground running. They alternate with some freaky electronica. Unlike the previous track, this one wastes no time changing things up and heads to the other extreme where totally unrelated riffs and melodies juxtapose and clash with avant-garde sounding guitar parts. After a while it jumps back into straight forward heavy metal, then electronica, then clean guitar parts and then heavy metal slowed down. It takes no time at all to realize that this is one of those tracks that changes things up often zigzagging in unpredictable ways from genre style to genre style with heavy riffs, solos, electronic bloops and bleeps and bluesy rock all trading off with each other. This track is basically like somebody randomly hits shuffle every several seconds and where it ends up is anyone’s guess but all the styles performed are nothing new to the BH canon. This PIKE is really nothing out of the ordinary however the two stylistic approaches generally do not sit side by side on the same release. The first track has been done to death at this point and is really quite boring whereas the second track is more unpredictably wild and more to my tastes but same problem. This style has been done to death and is performed in more interesting ways on previous PIKEs. This two track PIKE is really BUCKETHEAD by the numbers as nothing on it is new in any way, shape or form. While BH slowed down in 2017 releasing a mere 30 albums, many of them simply retread previous ideas sprawled out in the vast BH universe. Likewise the first PIKE of 2018 offers little insight that the new year will provide anything but the same. Decently played and performed but not inspiring. No BUCKETHEAD movie reviews posted yet.